Step 8. Change MasterPageFile="~/Default.master" to MasterPageFile="~/Site.master"
This guide is designed to instruct first-time users how to integrate Izenda Webforms kit into a basic ASP.NET website using Visual Studio Express 2013 for Web. In this integration guide, all Izenda files will be placed in a sub-directory called 'Izenda' within the hosting website. This guide will use an Izenda Webforms kit 6.9.0.4 and a basic ASP.NET website, which can be created using Visual Studio Express 2013 for Web. PLEASE NOTE: This guide is not universal, nor does it describe a complete integration. 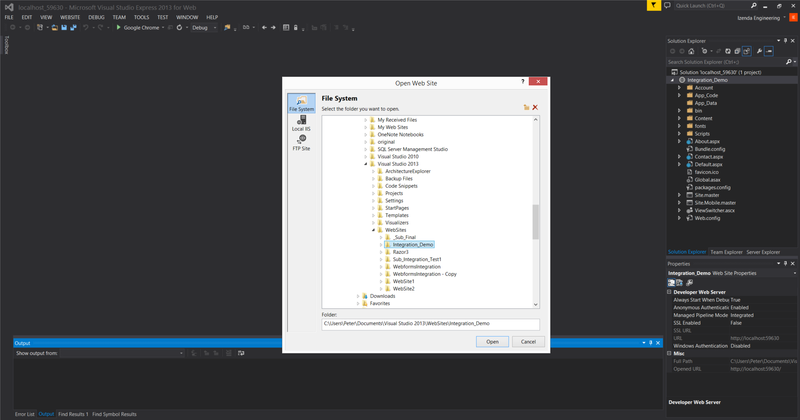 There are many nuanced elements of an integration, including, but not limited to, Visual Studio versions, existing code in your application(s), and server environments. This guide is intended to be a starting point in integrating Izenda, with the understanding that some deviations will likely be necessary. 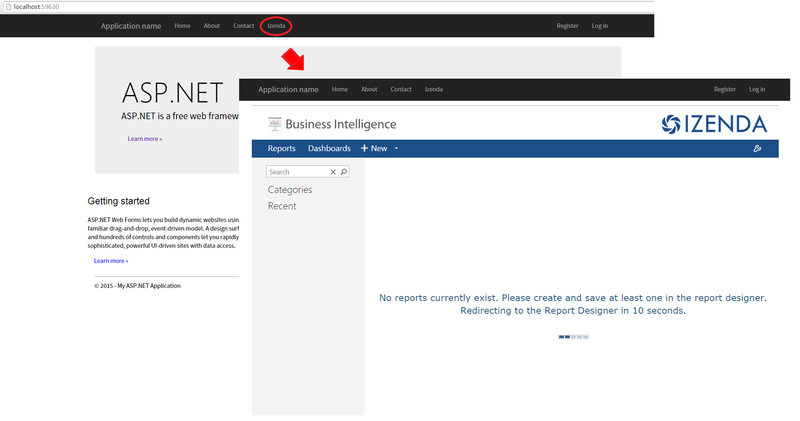 You can also create a new web site in Visual Studio in ASP.NET Webforms. Create a folder named 'Izenda' in the website's root folder. 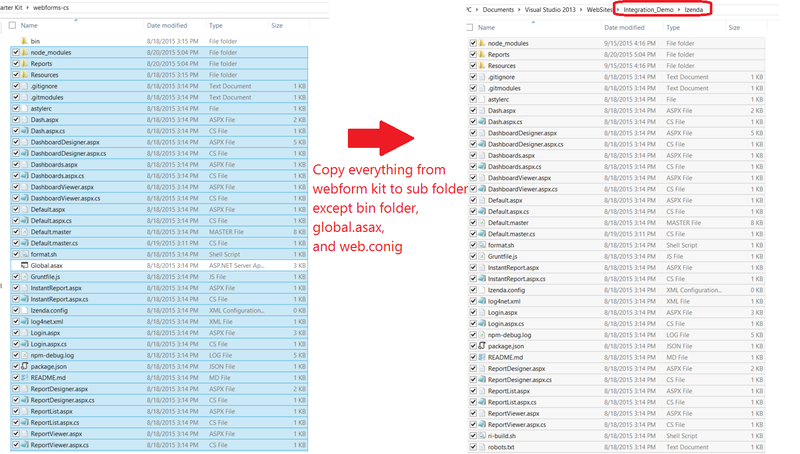 Copy everything from Webforms kit except for global.asax, web.config and the bin folder to your sub-folder. 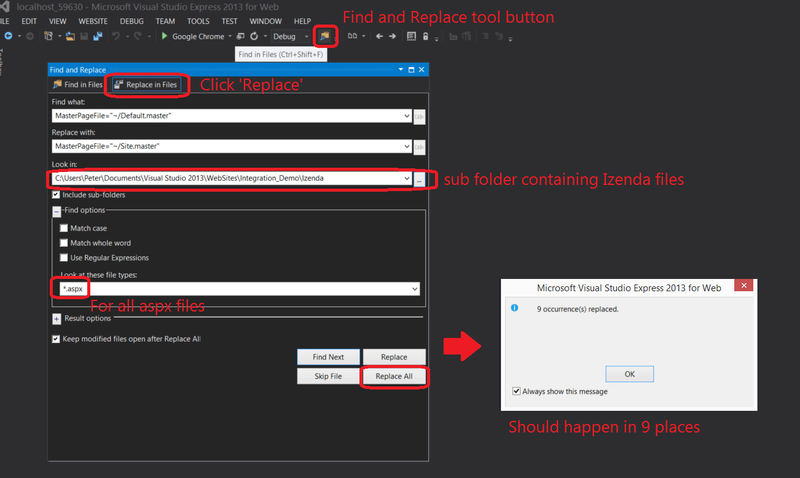 In this integration guide, the sub folder is named 'Izenda'. Copy the below method from Default.master.cs of Webforms kit to Site.master.cs of the website, and add Izenda.AdHoc namespace to Site.master.cs. href="Resources/...." and change them to href="Izenda/Resources/...."
Change MasterPageFile="~/Default.master" to MasterPageFile="~/Site.master" in all Izenda .aspx pages. 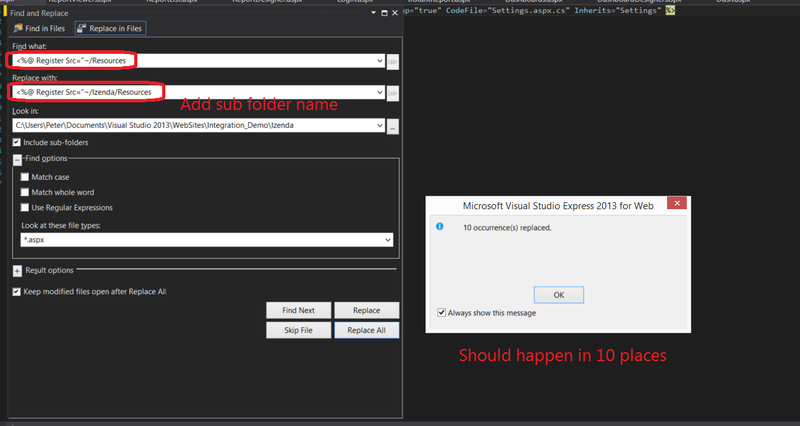 This can be done easily using Visual Studio's 'Find and Replace' tool as below. To get a new trial key, you may contact sales@izenda.com. If you use your own implementation of Bootstrap, you may encounter conflicts with Izenda's implementation in integration. The easiest way to resolve this issue is to namespace all of Izenda's Bootstrap classes, using a CSS pre-processor such as SASS or LESS. Please see our Bootstrap Namespacing Guide for more info.